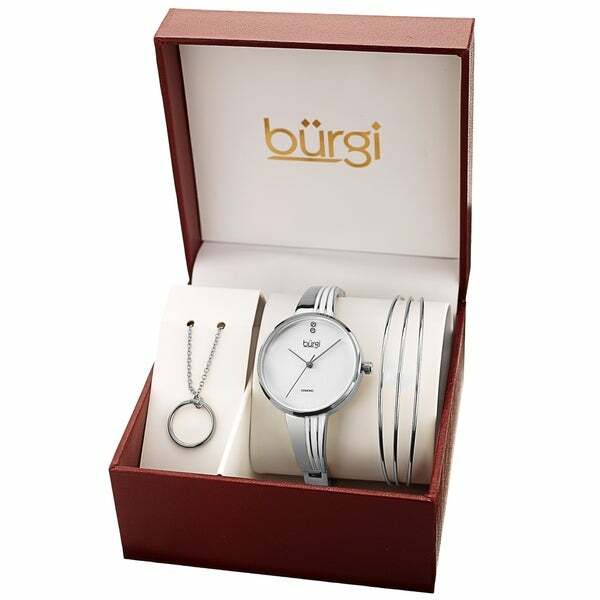 This special edition Burgi fashion box set includes a beautifully crafted women's timepiece and two accessories: a three strand alloy bracelet and circle pendant necklace! The watch features a silky smooth case and half-bangle decorated with white enamel stripes. Adorning the vertical brushed dial are two genuine diamond markers.